I did my traditional back-to-school posts on my son's second day of 2nd grade and my daughter's eighth day of 8th grade. And by "traditional" I mean, two years in a row. 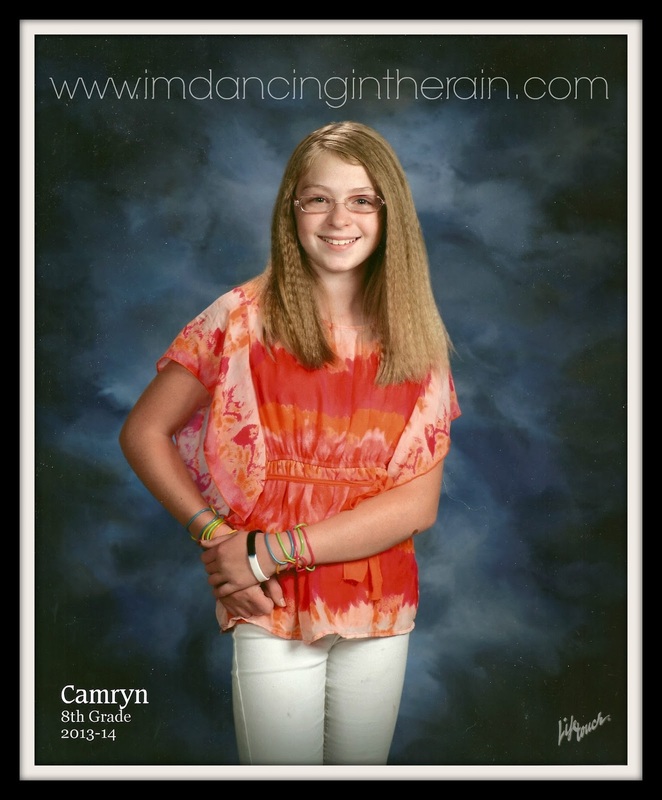 Now, though, I have Camryn's official school portrait! My sweet baby girl is a teenager now. 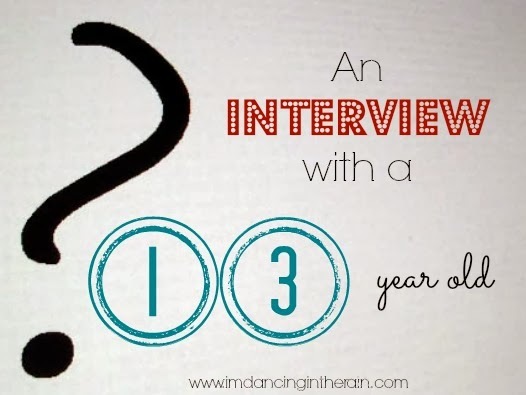 As she winds down her middle school years I thought I'd start a new tradition (inspired by Katie at Your Girls and Boys) of some "interview" questions to help keep track of how my kids' interests, opinions and perspective change over the coming years. 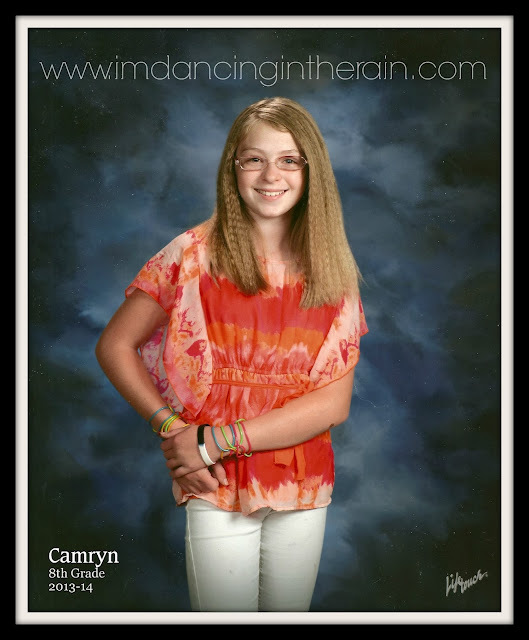 I am very surprised by the classes Camryn says she does and doesn't like. I thought for sure Math would be her least favorite (I even doubled checked with her to make sure). I thought Graphic Design would be her favorite by a mile. She says it's her second favorite. Asking for unlimited wishes is something she has thought a lot about. She had to list two best friends because one she never gets to see outside of school and the other lives here in our neighborhood, so she hangs out with her a lot. I think Camryn thinks she might like to be a nurse because of the times her dad has been in the hospital. But she says she wants to work with children. Camryn has ADHD and really struggles to keep up in school, so I've informed her that becoming a nurse requires several years of college. Not sure how much she's thought about that. Apple pie? That's my girl!